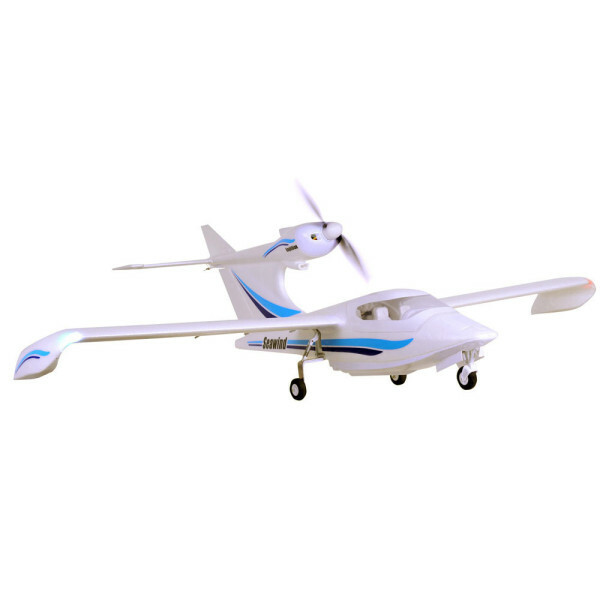 The ARTF Seawind from ST Model is a scale model of the full size kit aircraft and includes a wide array of features as standard. Just like the full-size counterpart the ST Seawind is a fully amphibious, and capable of being flown from paved surfaces, grass field and off of water. The high mounted motor keeps the propeller well and truly out of harm's way from catching grass or water splashes. Not only do the main wheels retract, there is also a retractable steerable water rudder for amazing water handling. Moulded from EPO foam the Seawind is light and tough, and using the latest in moulding techniques the finish is smooth and sleek. ST Model have really gone the extra mile with this model, for example all the control surfaces on the wing have plastic hinges to give the bets range of movement including fowler flaps! The moulded clear canopy is in hinges and can even lock up in the scale open position to give you both easy access to the battery compartment. The cockpit also features a full set of lightweight foam moulded seats, an instrument panel including yokes. The Seawind is supplied with 7 servos, a powerful brushless outrunner motor, electronic speed controller, retracts and LED lighting already pre-installed making assembly a breeze. Just add your choice of Tx/Rx combo, battery and charger to get airborne. Each wingtip has a moulded plastic tip light section, in each tip there are bright LED landing lights, flashing LED strobe lights and coloured LED navigations lights. 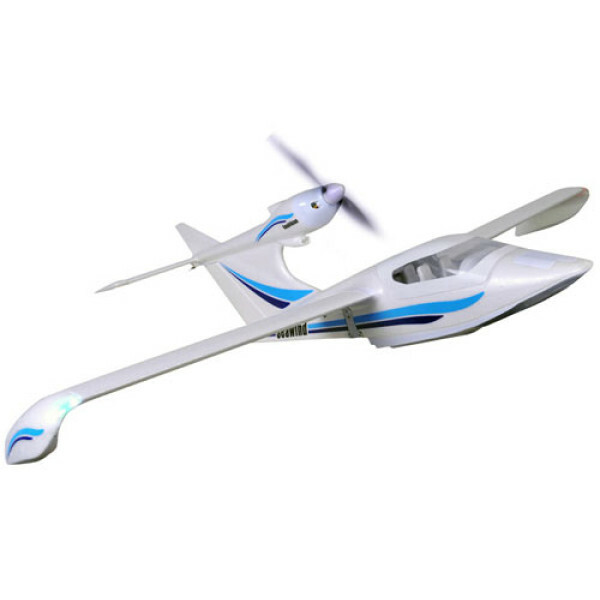 The Seawind design is a very forgiving yet capable airframe and with the brushless power system included it is a perfect match. There is plenty of punch and control authority for aerobatics such as loops, rolls, stall turns, inverted flight and steep climb outs. Just back off the throttle and the Seawind has great slow speed handling thanks to its high mounted wing and low wing loading, making it perfect for cruising about just over the water admiring the reflection. Finished in a bright ocean inspired blue scheme, we think this will stand out at any flying field or lake.